The need for “crunch time” in the game development business has been a perennial drum that gets pulled out and beat upon from time to time. The biggest kerfuffle in recent memory was caused by “EA Spouse” who composed a magnum opus on Livejournal in which she recounted the cringe-inducing conditions under which her husband 1 had to work as a game developer at Electronic Arts. The story blew up big, resulting in lawsuits and widespread, solemn vows to really do something about all this. Despite that, crunch time remained endemic to the industry, 2 with complaints from Team Bondi about working on L.A. Noire being a recent and highly visible example. 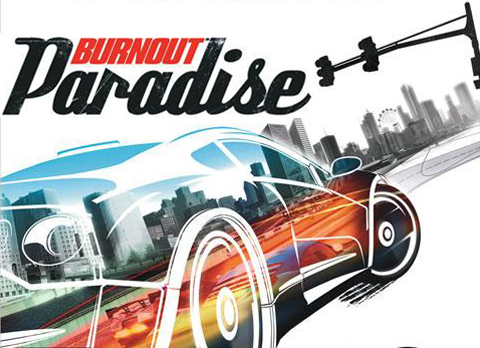 About the only time you'll see "Burnout" "Game" and "Paradise" in the same place. A couple of weeks ago, though, games business analyst 3 Michael Pachter caused widespread spit-takes by asserting (Update: broken link removed) that crunch time without additional compensation was not only necessary but totally okay and the kind of thing that you just gotta put up with if you want to work in the industry. “If your complaint is you worked overtime and didn’t get paid for it,” said Pachter, “find another profession.” His reasoning appears to be that hard work is rewarded financially (through bonuses for hit games) and by the satisfaction of working in the games industry in the first place. Pachter’s comments riled a lot of …whatever it is that gets riled, and inspired many responses like this one (Update: broken link also removed) by my close personal Internet friend and game industry veteran Charles Randall. 4 The consensus of these objectors seems to be that excessive crunch time leads to burnout, and burnout leads to bad games, studio failures, avoidable expenses, and possibly hepatitis C.
Exhaustion is just as it sounds: physical, mental, and/or emotional overtaxation. Cynicism covers a range of social reactions, including withdrawal from work or generally bitter or callous attitudes. It often follows from exhaustion as a defense mechanism. Inefficiency means being ineffective, unproductive, and feelings (correct or not) of incompetence. What causes burnout? In a marvelous case of discovering the obvious, various researchers have determined that the most reliable recipe is too much work and not enough resources. Additional factors that can drive burnout are feeling a lack of control over one’s work, inadequate rewards for effort, the absence of supportive co-workers/friends/family, and unfair treatment. So getting no overtime pay, not getting to spend time with your family, and being lied to about how long crunch time will last make it a lot worse. But, you may be asking, so what? Why do I care? Well, research has linked burnout to a number of unwelcome outcomes in the workplace. Generally, it’s detrimental to job satisfaction, attendance, and employee tenure 7 which cost game developers money and productivity. The relationship between performance and burnout has almost always relied on questionable self-report data, but just about every expert agrees that it’s there and a few studies have shown it directly. For example, one 8 that found burnout made cops more likely to unnecessarily beat the daylights out of civilians. Another 9 found that nurses experiencing burnout were rated by their patients as being awful, awful human beings. Interestingly, Pachter seemed to be right about one thing: rewards in proportion to stress can offset burnout to some degree. If you’re recognized for your hard work, get opportunities to develop professionally, and receive what you see to be fair remuneration, then burnout may be delayed or avoided. 10 Likewise, tight alignment between personal and organizational values can soften stress and reduce burnout –think working long hours to provide charity or develop new technology. This isn’t a panacea, however, as prolonged, crunch-induced stress will eventually overpower any rewards. And gaming industry insiders are quick to assert that offer meaningful profit sharing programs are rare. So, to the extent that you’re working in the games industry, burnout is pretty clearly a bad thing. As far as the rest of us go, well, I’m no economist but I suspect that burnout affects us to the extent that it raises the cost of making games (through diminished productivity, higher cost of attracting and training employees, employee sickness, etc.) delays games, or results in shoddy, bug-ridden games. All else being equal, the link between crunch, burnout, and the end product seems pretty clear. 5. Maslach, C., and Leiter, M. (2008). Early Predictors of Job Burnout and Engagement. Journal of Applied Psychology 93(3). 498-512. 7. Lee, R. & Ashforth, B. (1996). A Meta-Analytic Examination of the Correlates of the Three Dimensions of Burnout. Journal of Applied Psychology, 81(2), 123-133. 8. Kop, N., Euwema, M., & Schaufeli, W. (1999). Burnout, Job Stress, and Violent Behavior Among Dutch Police Officers. Work & Stress, 13, 326-340. 9. Leiter, M., Harvie, P., and Frizzell, C. (1998). The Correspondence of Patient Satisfaction and Nurse Burnout. Social Science & Medicine, 47, 1611-1617. 10. Maslach, C. and Jackson, S. (1998). Prevention of Burnout: New Perspectives. Applied and Preventative Psychology, 7, 63-74. Nice piece, Jaime. Exhaustion, Cynicism and Inefficiency are exactly the stages I went through before I quit my job. While we didn’t “crunch” or work enormous amounts of overtime, my team was completely overloaded and saddled with inept management that at worst didn’t care and at best just forgot we were there at all. On the one hand I agree with Pachter, if you’re going into a game industry you should go in expecting crazy hours. It’s always good to have a “realistic preview” of what you’re going to be doing. The other side of the equation is if you’re expecting to work grueling schedules – what does that say about the organization that demands such hours? Usually not very good things. It’s tough to work for / in an organization with a fundamentally broken culture.